A dear friend of my was hit hard with some medical complications. 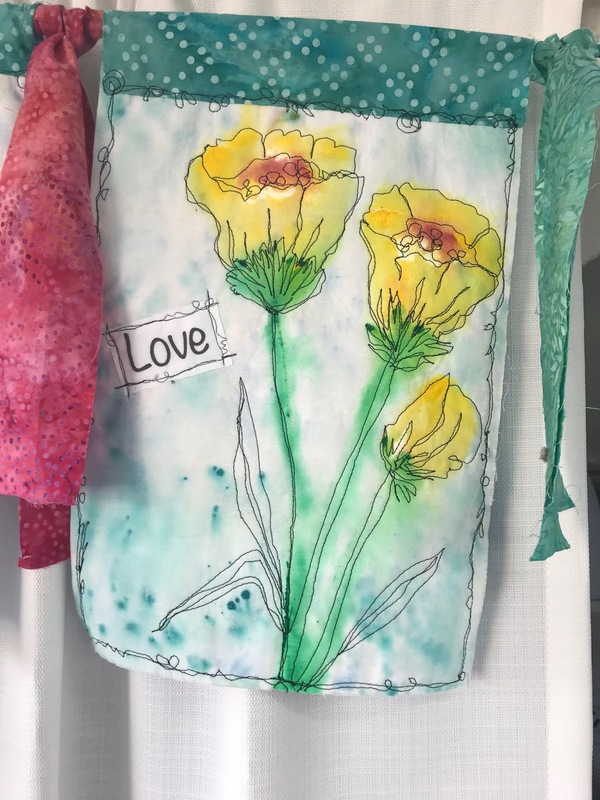 I painted the flowers onto white cloth and then added stitching lines to refine the shapes. 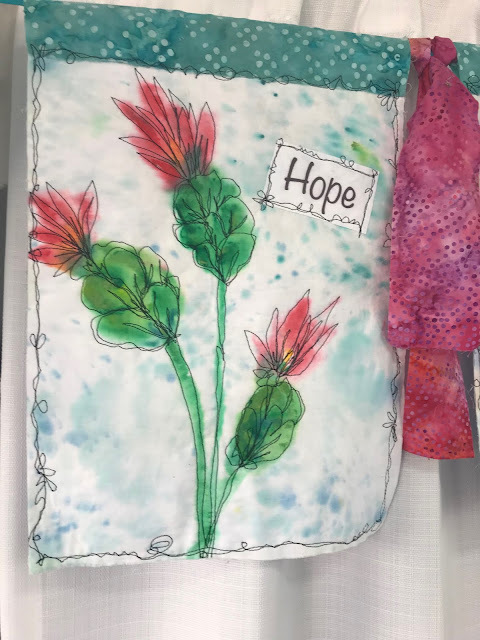 When she returned home from the hospital, these were hanging to lift her spirits. They now hang in her amazing art studio. 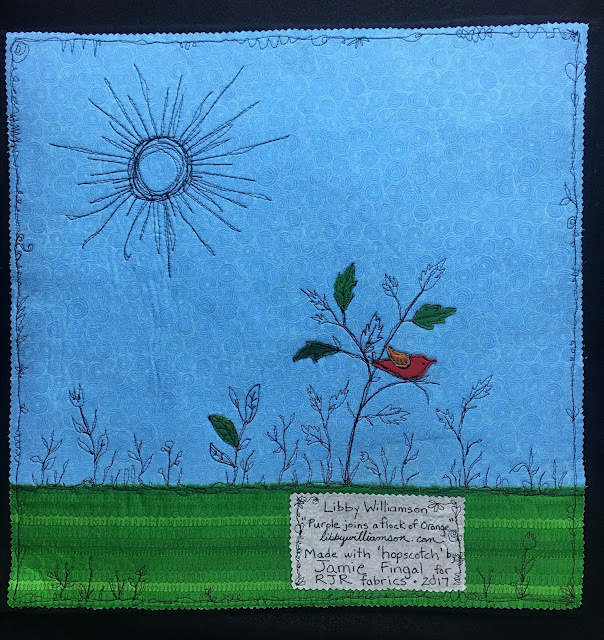 I've been stitching across America again. I was in Cleveland for a week with Quilting Arts TV. My 3 segments will air next spring. More to follow. Now I'm in New York for Quilters Take Manhattan. I'm catching up with great friends and learning new things. 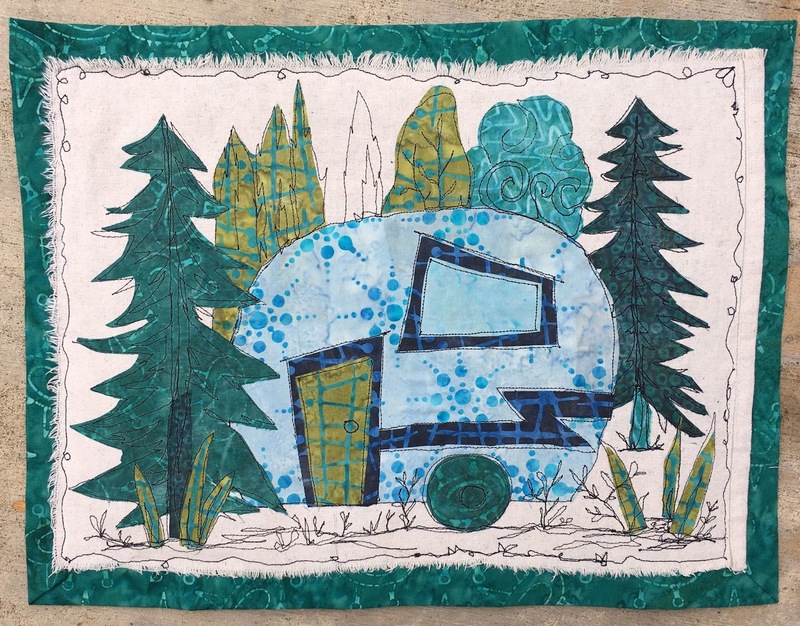 and from there to Colorado Springs to stitch with Liz Kettle. featuring the amazing fabric line by Tamarinis for Island Batik. 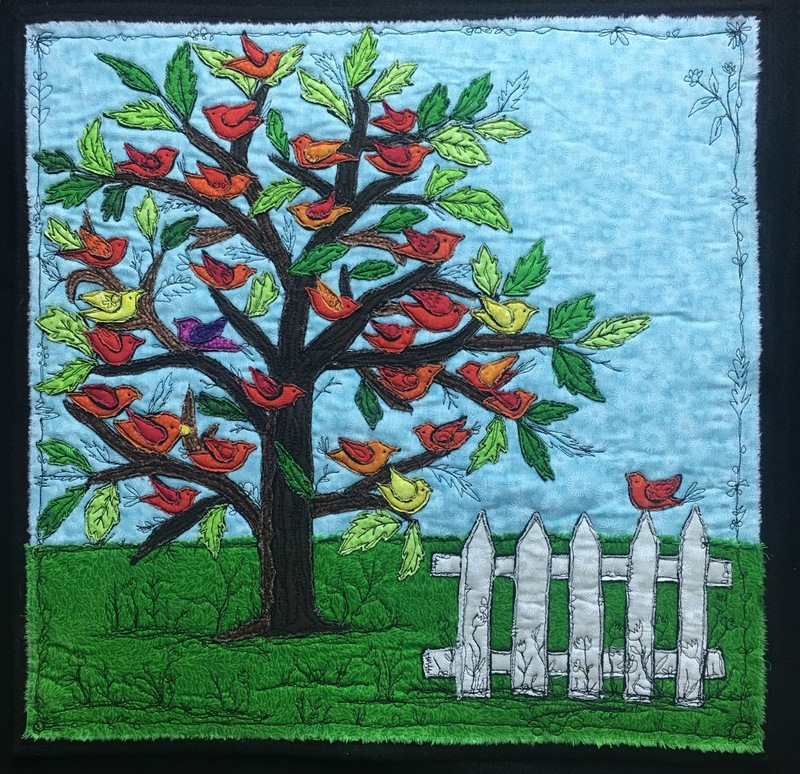 Tammy Silvers is the quilter and fabric designer behind Tamarinis. 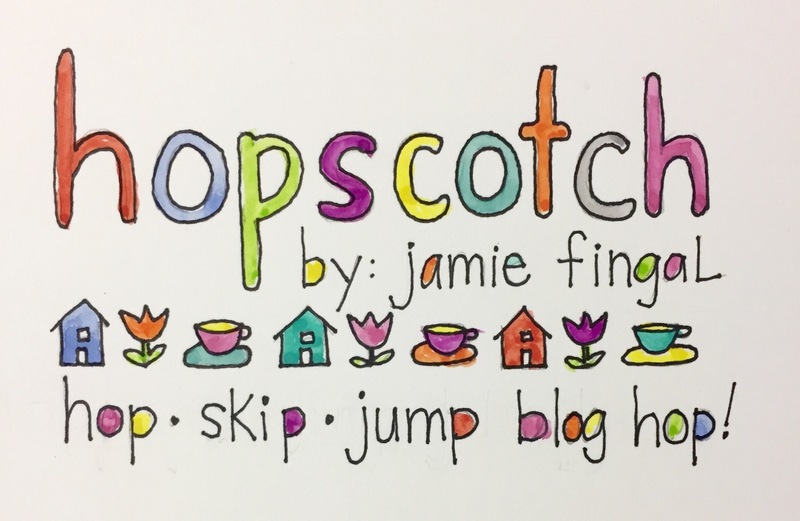 The collection includes a variety of whimsical and delightful, mid-century inspired prints. You can find Tammy and her entire line at: batiks-go-retro. 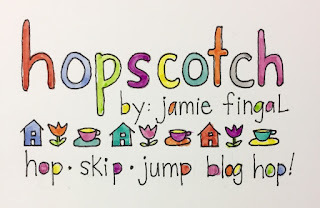 I stitched a tote bag for the introduction of Tammy's fabric line at Spring Quilt Market. 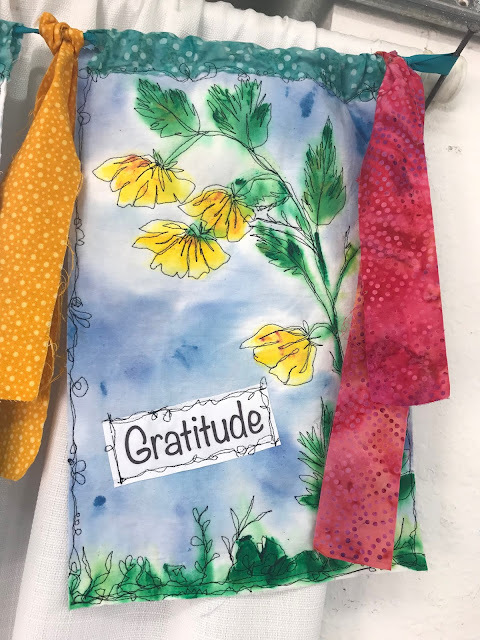 I used a variety of this incredible fabric line without a pattern since I typically create as I go. I begin laying out fabric, cutting and stitching until a shape begins to form. create 2 wall pieces with more vintage trailers in mind. 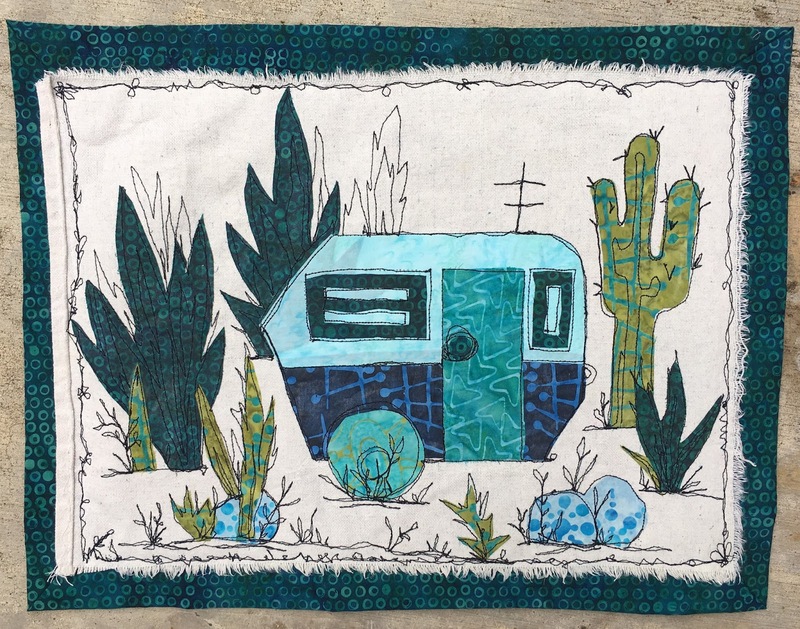 I love Airstream trailers and had fun using my designs with Tammy's fabric. My technique is spontaneous and intuitive. I use MistyFuse (http://www.mistyfuse.com) to add a thin fusible layer to the back of my fabrics and then begin cutting shapes without a pattern. These are then ironed onto a background fabric. 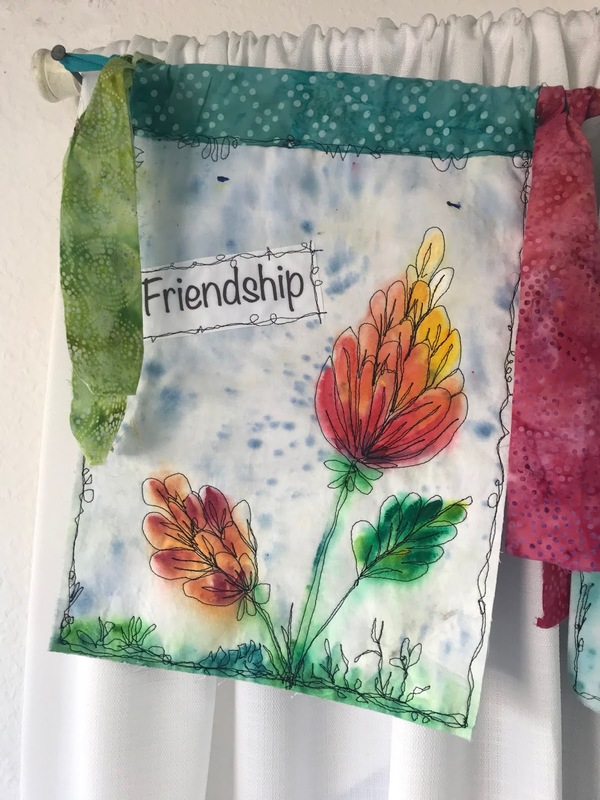 My favorite step is using free-motion stitching with black thread to add detail. My lines are quick and sketchy, random and imprecise. 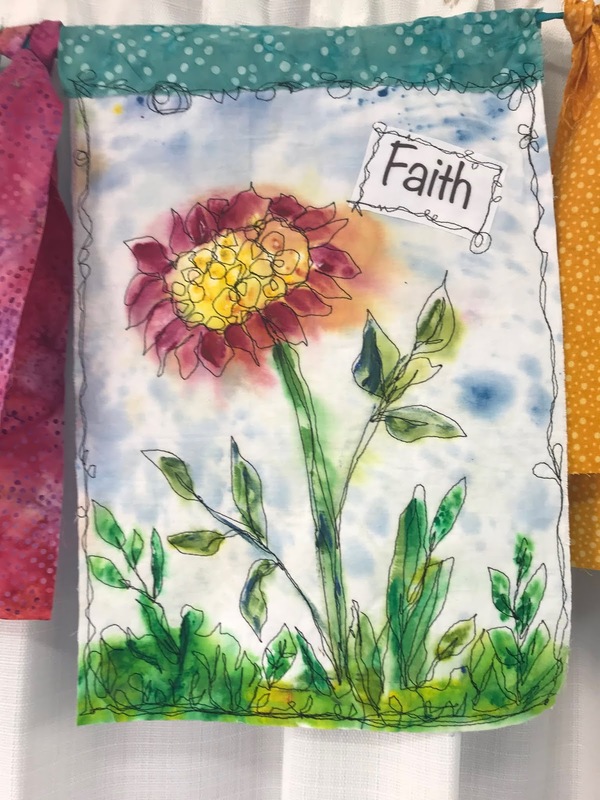 What a treat it was for me to experiment and play with this inspiring fabric line! 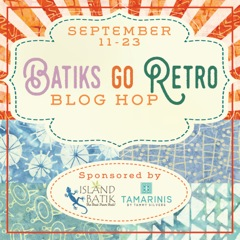 The entire Batiks Gone Retro Blog Hop schedule is below.